Shoe sales events? Our portable, department store quality double-sided shoe display rack is perfect. Features black powder-coated frame and 6 shelves with 1" lip to hold shoeboxes in place, 3" locking casters. 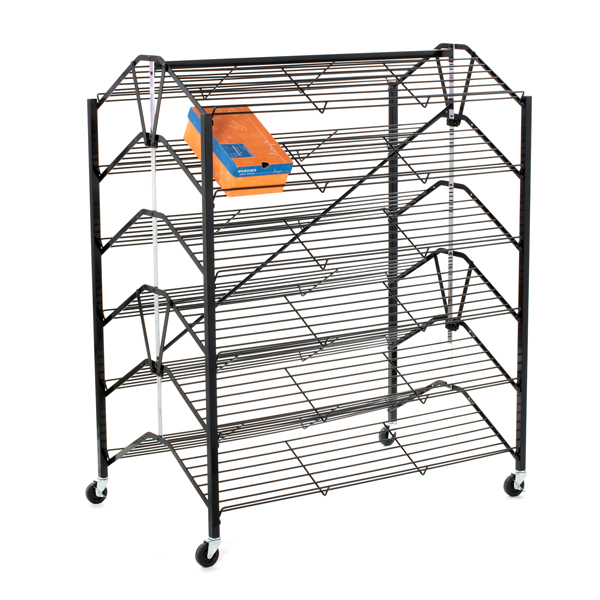 Display folds to 8-1/2” wide for easy storage.